From horse racing venue, to racino, to full-service casino, Penn National has been a staple of Pennsylvania’s gambling industry for over 45 years. And soon, it will be expanding its operation even further, to a mini-casino and online gambling. The storied history of Penn National dates back to 1972 when it began hosting live horse racing. Believe it or not, those races still run, and often — 3-4 times per week, year-round. What’s different is now the property offers slot machine play via Hollywood Casino, opened in February 2008. Table games were added soon thereafter, in July 2010. As the only casino within close proximity to state capital Harrisburg and its outlying areas, Penn National was skeptical of recent legislation enabling the launch of 10 mini-casinos throughout the state, citing that it was particularly suspect to cannibalization from the new properties. It even went as far as filing a lawsuit, but ultimately took a defensive approach, purchasing the right to build a mini-casino in nearby Yoe. On the flip side, Penn National has been a staunch proponent of online gambling, although less so at the current tax rate. The operator has strongly argued that the inordinately high 54% on slots may prevent online sites from being profitably feasible, and more recently made the same argument to the state Gaming Control Board in favor of a reduced tax rate for the forthcoming sports betting prospects. Still, despite the tax concerns Penn National has moved forward in the attempt to secure an online casino license, applying in July for credentials to operate online slot machines, table games, and poker – and receiving approval from the PGCB on October 3. The casino has more incentive than most to pursue its iGaming verticals, as its acquisition of The Meadows means it will be able to run both sites as separate skins under the same license, taking advantage of double brand recognition. Also its pending merger with Pinnacle Entertainment should further facilitate Penn National’s ability to finance its development. The Hollywood Casino website has already been running a Play4Fun social casino on powered by SG Digital, the merged corporation that resulted from SG Interactive and NYX Gaming Group. More recently Penn National announced a partnership with IGT to build its real-money online site. In any case players will be able to expect a strong platform and even stronger promotional offers. At present, we don’t know much about Penn National Online’s welcome package for new players, other than it will undoubtedly have one. Most likely, the bonus will be broken up into a no-deposit segment, which will gift new registrants $10 – $30 to try out the site’s games, and a first-time deposit offer. The deposit bonus could come in a couple of different flavors. Probably, it’ll be a 100% match up to a certain monetary cap, as high as $2,000, and will carry a wagering requirement ranging anywhere from 5x – 20x. The bonus could prove more innovative, however. Maybe Penn National will go the path of SugarHouse and offer a dynamic no-deposit bonus, followed by a smaller deposit bonus, but one that only carries a 1x playthrough requirement. Or it could take a page from Tropicana Casino in New Jersey, and offer players a full refund on any initial losses, say up to $100 – $200. In either case, there will probably be no better time to capitalize on free money bonus offers than when a player first signs up for the site. What advantages will an online casino by Penn National hold? Big time promotions: With a combined database of ~5 million players across the Penn National and Pinnacle brands, Penn National online casino will have the database necessary to hone in on the kinds of promotions its players want. And because it’s such a large and successful company, those promotions stand to offer top value. Early planning: Penn National launched an online gaming division in 2015, and launched its social casino since, and its arrangement with IGT means the site will have access to strong software and many games. In either case, the money and the passion for iGaming is there, so it’s very unlikely Penn National will scrimp on its tech. Tie-ins to Hollywood Casino: More than any other land-based casino, Hollywood is vulnerable to cannibalization from satellite casinos. To counter this, Penn National scooped up the first mini-casino with plans to place it near its property. To further protect itself, expect Penn National to offset lost foot-traffic by promoting Hollywood on its online casino site. For online players this means tons of opportunities to win free play, tickets, and dining experiences at Hollywood, and maybe even the ability to earn Marquee Rewards points online. Which platforms will Penn National online be available for? The trend among legal US online gambling brands so far has been to offer their software for both PC and Mac, as well as across Android– and iOS-powered devices. No reason for Penn National to deviate. These days, most gaming providers do not force players to download their clients. Instead, the platform is browser-based, allowing for quick and painless access with no downloads required. Penn National online casino will likely follow this model, offering its software via most modern and semi-updated browsers, including Chrome, FireFox, Internet Explorer, Bing, and Safari for Mac. Supporting this theory is that the operator’s social casino is available exclusively through a browser-based platform. 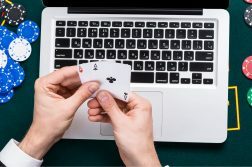 More than ever, online gamblers want to play when they want and where they want, and for that on-the-go experience to mimic the one on desktop. In the legal New Jersey market, mobile has really come into its own, with all online casinos offering strong iOS and Android supported apps, chock full of games and account management features. It’s in Penn National Online’s best interest to follow the example set by NJ operators. We think it will. Expect it to launch a casino app in tandem with its desktop client. There may even be a poker app, as Penn National is not the unlikeliest candidate to try its hand in what should be a competitive online poker landscape. In order for an online casino to find success, it’s going to have to offer players what they desire. And tops on most gamblers “want list” is a vast selection of games. But not just any games: we’re talking slots with engaging bonuses, video poker and table games with favorable rule sets, and cutting edge formats like Live Dealer. Given Penn National’s vast experience operating land-based casinos, we suspect it knows a thing or two about what games its patrons like. We believe it’ll utilize this knowledge to deliver a satisfying online gaming experience. It has to be said again that Penn National was a vocal opponent of the 54% tax rate set on slots/video poker, going as far as to call it “ridiculous” and a “money grab”. Therefore, more than any other operator, we do expect Penn National to emphasize its table gaming and other non-slot formats over its one-armed bandits. That’s not to say players won’t find slots on the site — if anything they’ll still be the dominant format, with at least 100 – 200 penny slots ready to go at launch. But it’s more likely that Penn National Online will handpick its slots from providers that allow clients to tailor returns, mostly from its official partner IGT. It follows that slot returns might not be as favorable to players as on other PA online casino sites. We project that Penn National online casino will boast a wide array of blackjack games, with rule sets bound to make savvy gamblers jump for joy. Pennsylvania in general is a good state for blackjack, as naturals payout 3:2, players are allowed to double after splits and double any two, and late surrenders are allowed. If Penn National launches a proprietary blackjack game, it could very well feature all of these player-friendly rules, as well as other enviable rules like splits up to four times. We may even see a single- or double-deck game. And even if PN doesn’t develop its own product, the blackjack games crafted by top game suppliers tend to be more than fair, and let players see hands for as little as $1 or less. Popular sidebets could also show up online, such as Lucky Ladies and 21+3 — both of which are featured at Hollywood Casino’s blackjack tables. Good luck finding a single-zero roulette game at a brick & mortar casino, and even better luck finding one with a minimum wager of $50 or less. But online has proven a different story, with numerous single-zero and European/French roulette games available. Just trimming that 00 from the wheel cuts the house edge nearly in half, allowing players to gamble longer and affording them a better chance of walking away a winner. Penn National online casino will likely feature these good roulette games in spades, and for a far lower minimum wager than what’s found live. Video poker is another format that will almost certainly be present on Penn National Online. Single-line, multi-line, and maybe even one-off formats like Ultimate X and Super Times Pay should be available, across a variety of popular games like Jacks or Better, Double Double Bonus, and Deuces Wild. What concerns us is the paytables. Video poker games will be taxed heavily, and to offset the high costs, Penn National may opt for some less than favorable game options. What this could mean are video poker games that feature returns in the 97% area, as opposed to 99%+, which we often see in the NJ online casino market. Good news is, the paytables will be in full display, so players can easily gauge whether a game is good or not. Games indicated by an asterisk own a high probability of landing in the lobby. In addition, Penn National may reach a little further, and rollout Virtual Sports and Live Dealer games. The latter seems like a perfect fit, as Penn National is highly concerned about protecting its brick & mortar brand. Live Dealer games will not only attract players in its land-based database, but it may also entice online-only players to give live casino gambling a try. Of course, Penn National also pursued sports betting once the Supreme Court lifted the federal ban. Penn National opened the first brick-and-mortar sportsbook in the state in November of 2018, and hopes to have an online sportsbook running soon. What will the Penn National Online loyalty program look like? The Penn National online rewards program might really be a treat. 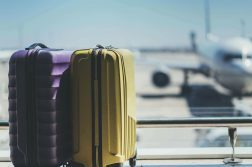 We say this because there’s a real possibility the PN will merge its already stellar Marquee Rewards program with Pinnacle’s My Choice program. And the list goes on. We’re certainly expecting Penn National Online to support one of the better loyalty programs, as both it and Pinnacle bring a wealth of experience to the table when it comes to player givebacks. Cashiering at Penn National online casino? It really doesn’t matter how stellar an online casino platform is, or how good its gaming options, if it doesn’t offer players a solid array of fast, reliable means of getting funds on and offline. Luckily, payment processing has come a long way since the nascent days of regulated US online gaming, with several major e-wallets entering the mix, credit cards relaxing their opposition, and more cash and alternative options emerging. We’re going to go out on a limb and predict that Penn National Online will also eventually add a branded prepaid card option and Paypal to its cashier. Skrill and wire transfers are also possibilities, although more remote. When advocating for the legalization of online gambling, representatives of Penn National pointed out that the new industry would create a plethora of jobs. Therefore, we anticipate that its customer service team will be comprised mostly of locals. Expect agents to be courteous, well-spoken, and to provide answers to most common queries on the spot. The story of Penn National Race Course dates back to August 30, 1972. It was then that the 1-mile dirt course took its first wagers. The venue remained a racetrack-only until some 36 years later. Thanks to legislation passed in 2004, six horse racing facilities were permitted to become Category 1 racinos. Penn National was among the lucky recipients, and opened its casino arm, Hollywood Casino, on February 12, 2008. Two-and-a-half years later, it expanded its operation to include table games such as blackjack, roulette, and craps. Hollywood Casino has been a full-service casino ever since, and in 2017 was the Pennsylvania land-based casino market’s eighth highest revenue generator, within striking distance of fifth-place Harrah’s Philadelphia. The casino, which currently houses over 2,300 slot machines and 74 table games (including a small poker room), is operated by Penn National Gaming — a national powerhouse that operates or has interests in 27 facilities across 17 jurisdictions. That number is about to swell even higher, as the operator has recently finalized a deal to merge with Pinnacle Entertainment, which itself operates 16 properties across 10 states, and has an interest in The Meadows in Pennsylvania. In early-2018, Penn National marked even more territory in Pennsylvania, having placed a $50.1 million bid on the first mini-casino. While the exact location of the facility is not yet known, it will be close to Yoe, which is relatively close to Hollywood Casino’s Grantville location. The Hollywood Casino also managed to be the site of the first active sportsbook in Pennsylvania as of late 2018, a month ahead of any other competition. It’s difficult to envision Penn National not being a major player in the Pennsylvania online gambling market, as representatives of the company have been onboard with the idea from the time it was first considered. Not to mention, the operator has made moves that suggest a real-money gaming rollout, such as launching its own iGaming division in 2015, and more recently expanding the reach of its social casino offerings, most notably through the acquisition of Rocket Games. Finally, Hollywood Casino is arguably more vulnerable to cannibalization from the forthcoming satellite casinos than any other of the state’s land-based casinos, virtually guaranteeing that it will do whatever it takes to bolster its brand. Online gaming stands to be an integral part of its defensive strategy going forward, as well as a focal point of Penn National’s expansive ambitions.